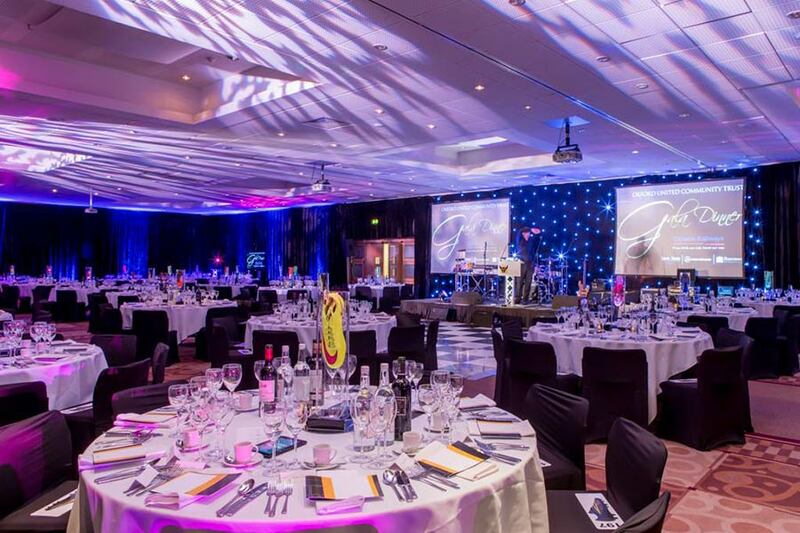 On Thursday 29th October, Oxford United Football Club launched its pioneering Community Trust with a gala dinner at the Kassam Stadium, sponsored by Chiltern Railways. England manager Roy Hodgson joined staff, players, United in Business members and other local business leaders to celebrate the official launch of the programme, which has been in development over the past 12 months. The gala dinner raised over £75,000 for the Trust with auction items including signed shirts from Pelé, Maradona and Messi plus Usain Bolt’s signed running spikes. The event included a silent auction, entertainment, and question and answer session between Sky Sports presenter David Jones and England manager, Roy Hodgson. TMB Entertainment provided the jazz trio during reception drinks, production, dance floor, draping, décor, surprise singers and The Vodka Martinis band who accompanied guests partying into the small hours.